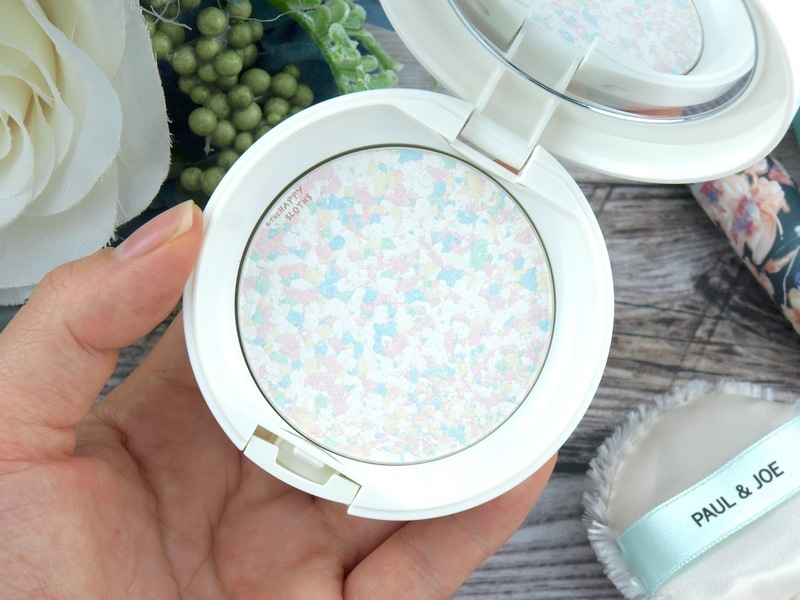 Created in celebration of the brand's 15th Anniversary, the new Pressed Face Powder is a translucent setting powder pressed with a delicate mosaic of soft white, pink, green, blue, and yellow pearls. The formulation is infused with apricot extract, apricot oil, jojoba oil, orange flower water, sodium hyaluronate, and white lily extract. So not only does it look pretty, it contains a ton of skin-loving ingredients. 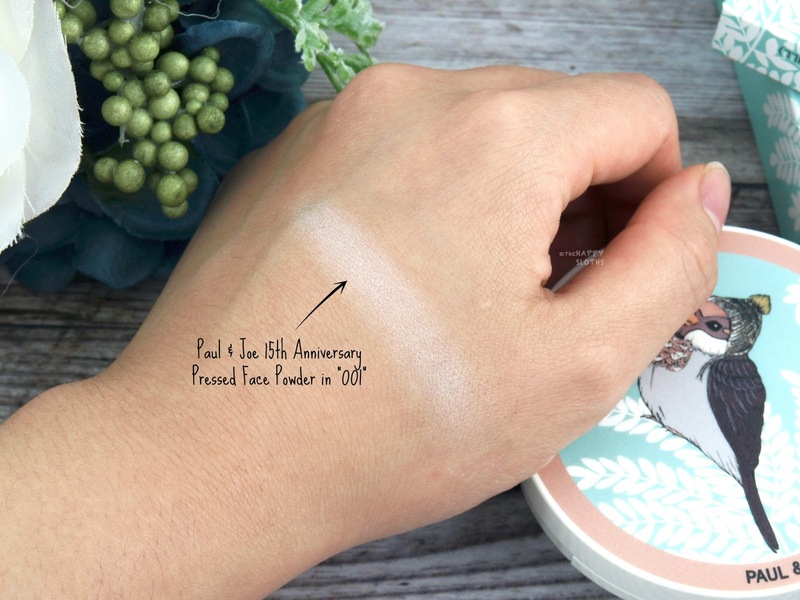 Paul & Joe Beauté | 15th Anniversary Pressed Face Powder in "001"
Although the powder looks white when swatched (see below), it is virtually colorless when blended on the face. With that said, the powder might cast a white veil over darker skin tones. The silky and lightweight formulation softly blurs and mattifies while creating a subtle brightening effect. The finish has a hint of sparkles but they are hardly noticeable unless you are examining your face up close under bright sunlight. Lastly, this powder is infused with a soft floral scent that definitely rivals the iconic Guerlain Meteorite fragrance. 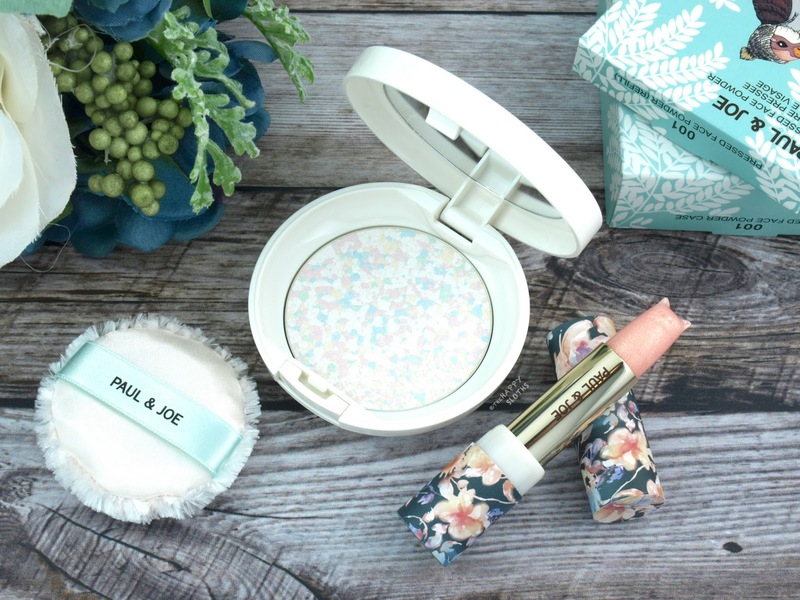 As is the case for most Paul & Joe products, the powder is sold separately on its own. For Fall 2017, the brand has released a limited edition compact printed with the most adorable beanie-wearing sparrow on the lid. Although made of plastic, the compact feels very elegant and luxurious. There's a small mirror on the inside and a fluffy puff applicator is included. 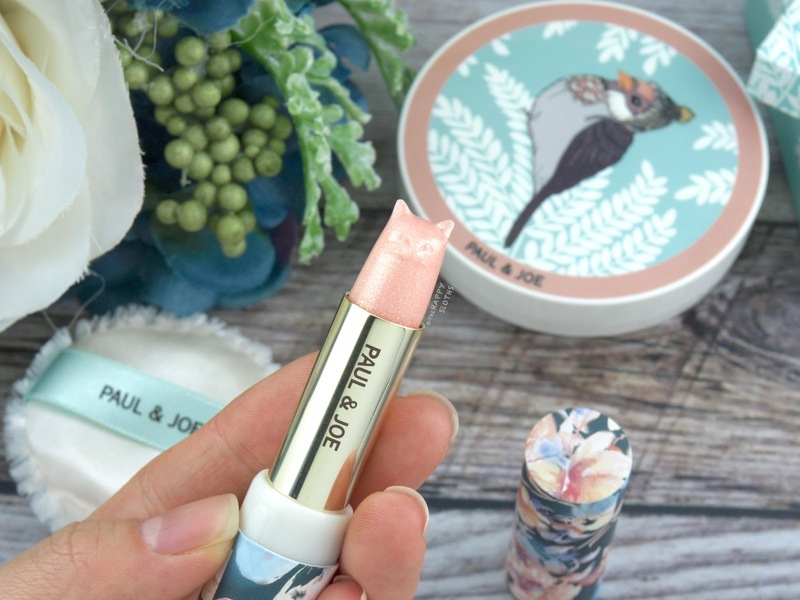 Paul & Joe Beauté | Pearl Lipstick in Lipstick Case "CS 040"
Made with the jojoba oil, macadamia oil, orange flower water, orange oil, and shea butter, the Pearl Lipstick (sold separately as a refill) is an adorable cat-shaped sheer lip balm infused with a subtle sprinkle of champagne gold shimmers. The formulation is very slick and moisturizing. It can be used alone as light lip balm or it can be applied on top of a matte lip color for some added shine and shimmer. 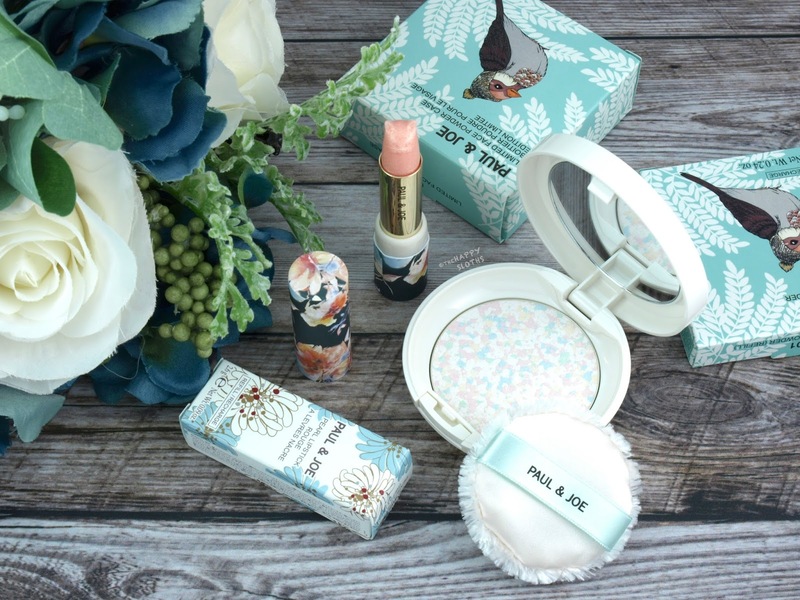 The formulation isn't super long-lasting but given how precious the kitty design is, I won't be complaining! 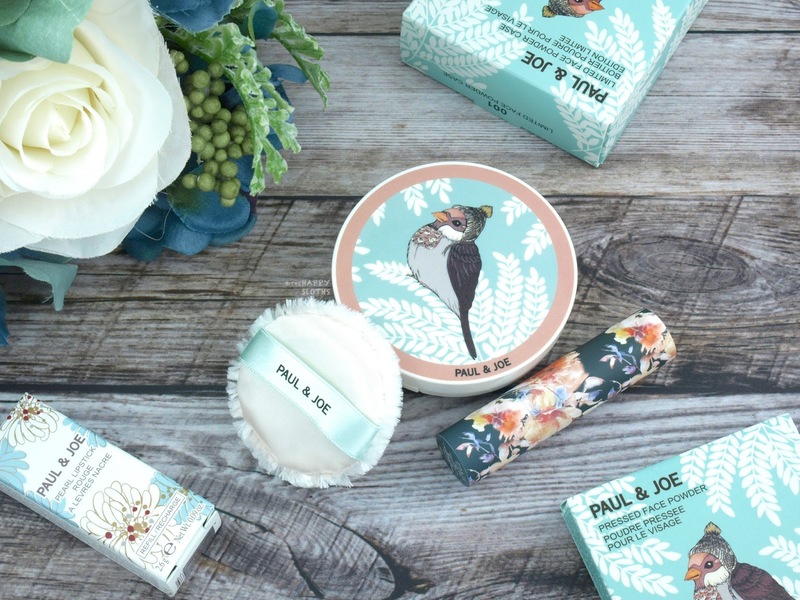 In addition to the new lipstick refill, Paul & Joe has put out three limited edition lipstick cases, which are each sold separately. 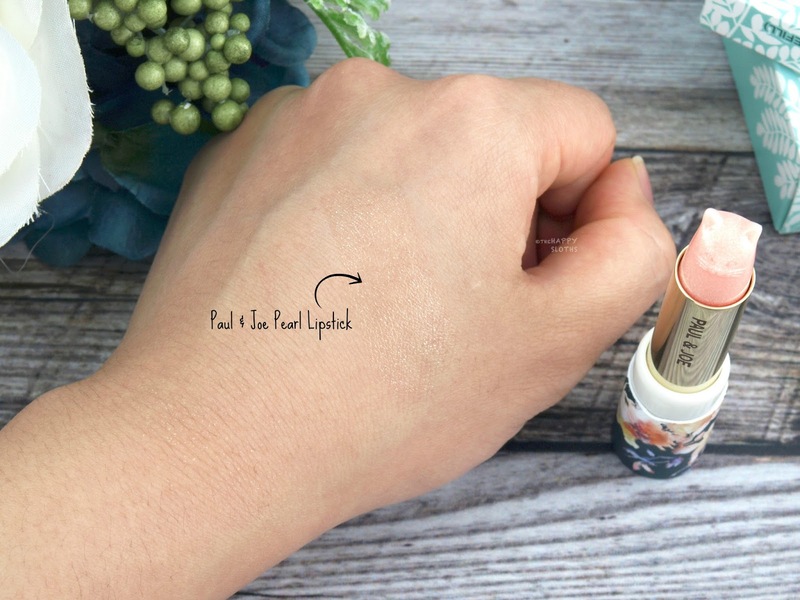 These structured paper tubes feature a slimmer, taller design, so it's actually important to note that they will not fit the older lipstick refills and the new lipstick colors released for Fall 2017 will not fit the older lipstick cases. Do you own anything from Paul & Joe? What are your thoughts on investing in makeup that's too cute to use? Share with me in the comments below! The Fall 2017 Paul & Joe Beauté Collection is available starting September 11 online at beautyBOUTIQUE.ca and in stores at select Shoppers Drug Mart locations.